There’s lots of great things about Florida: Disney, orange groves, the beach, and mild, sunny winters. But what if you’re a long-time Florida resident suddenly facing a move up North…in the middle of winter? Don’t worry, we’ve got ya covered. 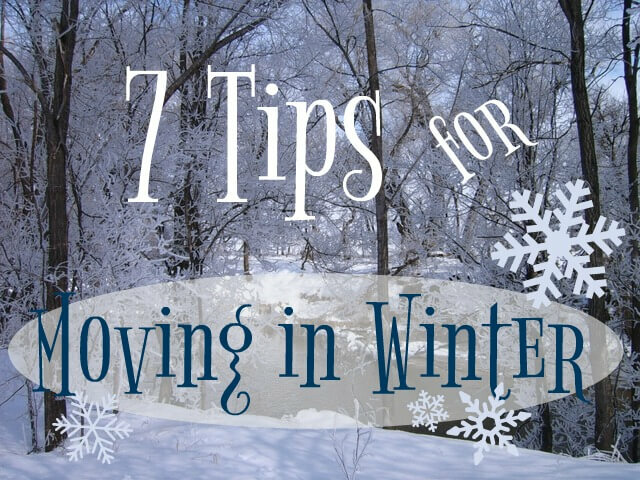 We’ve compiled 7 tips for moving in winter to make sure you’re building snowmen as soon as possible. Let’s face it: if you’ve never driven in the snow, it’s best not to start with a large van full of your most valuable possessions. Professional movers who have worked all over the country (like ours!) will have experience driving heavy vans in snowy conditions. Let them worry about the truck while you get the feel of driving your own vehicle through the snow and ice. Don’t save packing for the last minute. Winter days mean less daylight, and you want to spend that time getting to your destination and/or getting everything off the truck. Make sure that everything except morning essentials is packed up BEFORE moving day and plan to finish the move before sunset (as early as 4pm up North!). Certain materials can become more breakable when the mercury drops, so double wrap your fragile items. If anything could be damaged by cold temps (science tip: water expands as it freezes! ), leave it off the moving van. Electronics, plants, snow globes (isn’t it ironic?) are some examples of things that should travel with you instead of the cold moving van. Don’t let a slippery sidewalk derail an otherwise smooth moving day. Shovel or salt the driveways, walkways, sidewalks, and other areas that your moving crew (and your family) will be on, and make sure everyone is wearing appropriate winter footwear. 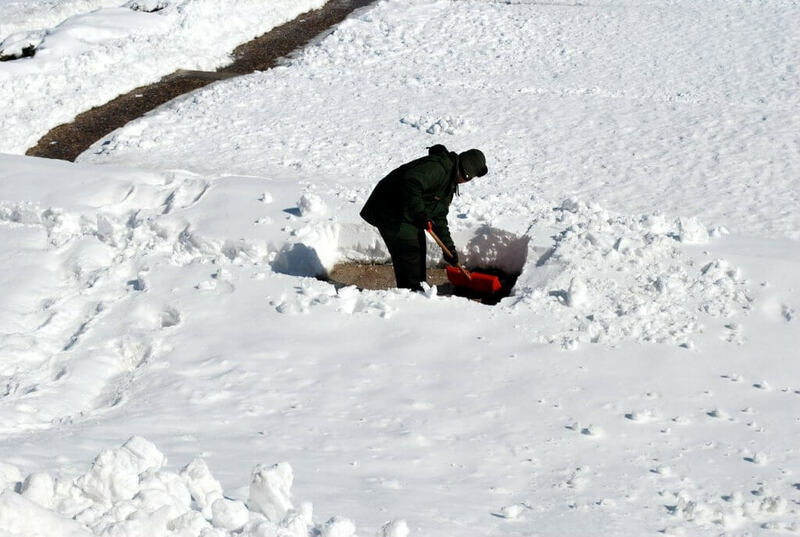 If there’s a lot of snow in your new neighborhood, check the snowplow schedule so you know whether you’ll have to deal with a messy snowbank during the move. If you know for a fact you’ll be dealing with snow during your move, you may even want to schedule moving day around the snowplow schedule. Everyone knows that water and wood don’t mix! Indoors, put down waterproof tarps (tape them down with painters tape so no one slips), carpet remnants, or cheap rugs to protect hardwood floors from melting snow. Florida has its summer thunderstorms; the North has winter snowstorms. Check the weather in the days leading up to the move so you’ll know how to prepare. Keep warm coats, hats, and scarves easily accessible and have a selection of sheets, blankets, or tarps ready to cover any irreplaceable furniture should a sudden snow flurry arise. Above all, stay flexible. You might not see too many hurricanes in New England, but there’s always the chance that a blizzard could put the kibosh on your move. Talk to the moving crew to develop a Plan B in case things go awry. Whether you’re moving, traveling, or doing anything else in winter’s chill, our advice is the same: layers, layers, layers! Layers will keep you warm, but you have the ability to remove a layer if you get too hot during the move. Just make sure to choose items that don’t restrict your movements. Doors will be opening all day, so keep the central heating off (or set fairly low) so you don’t over-exhaust your heating system. (Besides, lifting all those boxes and furniture pieces will keep you warm enough anyway.) Get a small space heater to heat selected rooms—such as the bathroom (you’ll thank us later!) and any rooms that small children or pets will be in. (If possible, it might be best to board your pets for the day or send your kids to a museum or the movies with a trusted friend to keep them from getting underfoot.) When unloading the truck, focus on getting stuff INTO the house first. Once furniture and boxes are off the truck and into your house, you can feel free to crank up the heat and sort everything into rooms. Make sure electric, gas, and water will all be hooked up and operational at the new house before you arrive (preferably a day or two before). Yes, you should have your heat off during the move, but you’ll want to make sure everything is ready to thaw out once the moving van pulls away. You’ll also want lights to see where all the boxes are going and water for any hygiene needs. Moving boxes and furniture in the cold and snow is no one’s idea of a “fun time” (even for those who do it all day long). 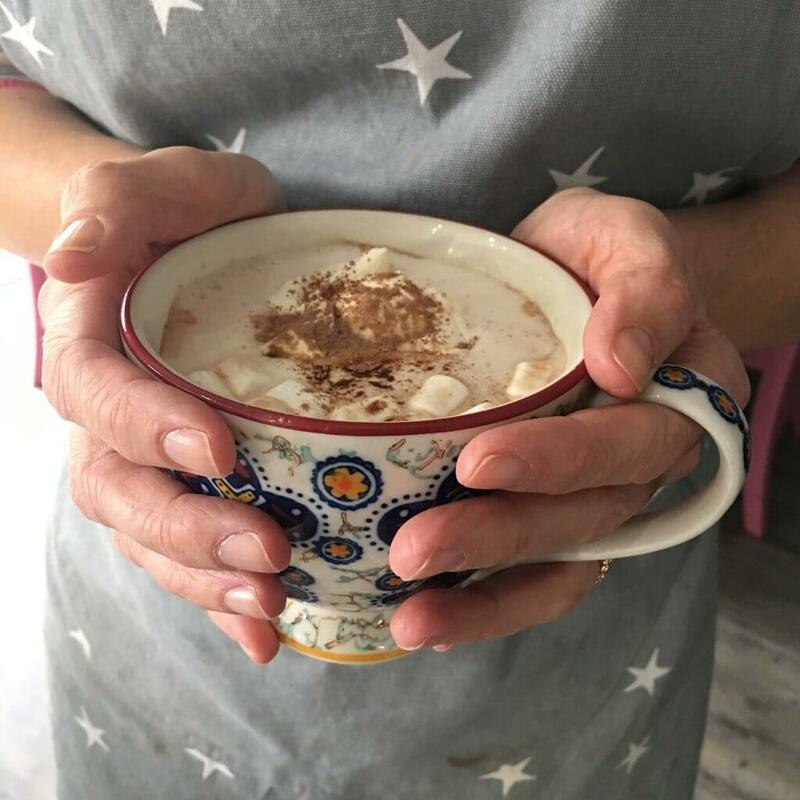 Providing a hot beverage to warm everyone up will keep your friends, family, and moving crew happy and warm. Set up a coffeepot or insulated hot beverage dispenser with coffee and/or hot water. Set out hot cocoa packets, tea bags, sugar, and creamers for quick beverage prep. Winter may not be the most popular time to move, but it can be easier by implementing the right plan. So whether you’re moving to Vermont, Colorado, Wisconsin, or any other cold weather climate this winter, call Cento Family Moving first for your free quote. Our movers have moved to nearly every state in the U.S., so there’s nothing we can’t handle. If you’re moving in Winter (or any season really) I would definitely recommend using a furnishing service.